Discover the powerful control interface for your FARO Focus3D with the innovative 4D (3D+Time) automatic monitoring software! 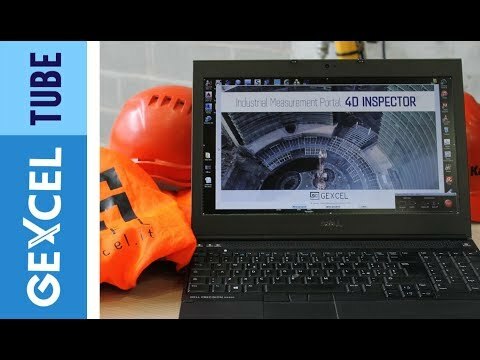 Thanks to the 4D Inspector® you can remotely set all the Focus3D scanning parameters just using a single LAN connection, remotely control the Focus3D and fully manage a long-term automatic scanning agenda. The user interface applies the latest software technologies to create an easy to use and user friendly experience. REMOTE CONTROL: Connect the Focus3D to the PC control unit. LAN connection. SCANNING PARAMETERS SETTING: Remotely fully control and change the scanning parameters of the Focus3D. SCANNING AGENDA: Remotely define your automatic scanning agenda and your reference frame. START: Run a fully automatic scanning activity. DATA STORE INTO PC: Scan data are automatically stored into the Remote Computer. REAL-TIME 3D MONITORING: Automatically runs on the remote PC a 3D deformations check. DATA ARCHIVING: Automatic archive the scans and the monitoring results. ALARM E-MAILS: Automatically send deformations alarms.